November 21st is a date of connecting on fragile emotional planes, when compassion is understood and functional in the quest for material goals in life. 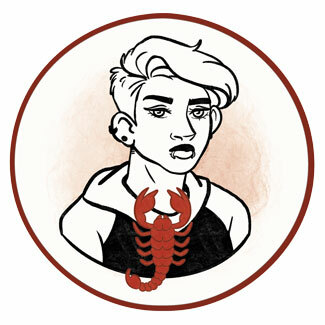 Scorpios born on this date are loving and kind to those they have clear contacts with, but might find it tricky to deal with those who make them angry. This is when they push their emotions under the rug and try to move through rational choices that separate them from the world and lead to loneliness or feelings of incompetence or inadequacy. Someone born on the 21st of November needs to find room in their heart to manifest and create things with others in harmony. Their balance is easily thrown off if they have too many things in life they stand against, and their ability to agree to terms of others might go into extremes although they should listen to their gut feeling first. They often need comfort and a strong system of emotional support in life to pull through some difficult times. They understand others in their time of crisis and have a high threshold when making compromises with those in need of their help. Still, it is up to them to find the right balance of giving and receiving, and the level of struggle here is defined by their upbringing and relationships within their primal family. "An Indian Squaw Pleading to the Chief for the Lives of her Children"
The natural order of things might be a bit tough to handle for those born on this date, and they need to accept their personal battle for the child within before they decide to "grow up" in ways that aren’t functional or supportive of their vulnerable authentic personality. The feminine is to strengthen until they are ready to stand their ground and protect their emotions and their own inner child, so they can truly turn to creative and loving activities they wish to do and live off in their everyday lives. It is up to them to stand in front of authorities, asking for their rightful place to be acknowledged. With the meaning of life found in self-expression and seeking their own inner truth along with its place in the right social circle, those born on November 21st could have trouble communicating until they discover where the core of their opinions lies. They strive for honesty and purely used words that resonate with their heart, and won’t settle for small talk or dialogues that aren’t productive and of some essence. In time, they become orators and writers, with a message to share with the rest of the world. Although their messages might come from the underground and be frowned upon by many, their truth will liberate them and all those who need guidance through darkness to come out to the light. Emotions could toss people born on the 21st of November from one shore to another, pulling them back and forth until they find balance in the way they express them. They need a partner they can talk to until the air is clear. Misunderstandings might be hurtful and their lack of patience will suddenly show when they least expect it to, usually after years or swallowed feelings. Their relationships could be either extremely intense or in ways passive and stuck, and they need to find middle grounds that will allow them to share their passionate side while staying stable and turning to the peace of family life they wish for. Without a clear sense of understanding for their emotional deep issues, a romance could last but bruise them every time they try to share. They need a lot more intimacy than people around them might believe is enough and shouldn’t settle for anything less than what they know in their heart to be their own truth in the quest for love. Stable and compassionate, they function well in unions that respect emotional sharing and mutual understanding of vulnerable aspects of self that we all need to protect from the rest of the world to let our contacts flow from a position of safety. 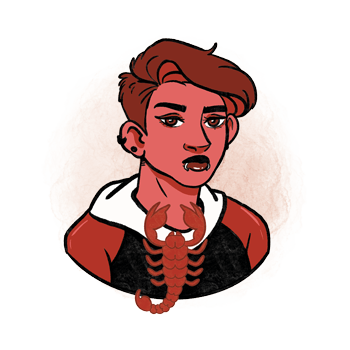 A Scorpio born on November 21st does well with other people, and often comes to positions of power as a successor to someone who taught them how to handle the pressure. They are incredible individuals that respect authority in ways that allow them to shine themselves, in time. They are meant to write and speak their mind freely and openly, message bearers, postmen and secretaries, as well as all those who deal with important paperwork and government officials that understand the frailty of sharing what should remain hidden until the moment is right. Tunellite is a good choice of stone for someone born on November 21st, giving clarity to past issues that became obsolete and cutting cords imposed on one by other people as well as those that are no longer functional. It aids astral travel, enhances creativity and helps creative thought find ways of grounding and manifestation. Good for the skin, wrinkles and the overall tone of the skin, it refines one's protection from the outer world enabling compassion that is healthy and filled with understanding while keeping one safe from other people's emotional troubles. A birthday gift for someone born on November 21st should be a glass figurine, something to boost their memory, an album or a frame with a picture from good times shared, or a book with depth of emotion and a happy ending. They want their sensitive side acknowledged and understand the value of intimacy, and while they will appreciate something that others might find disturbing, it has to come from the depth of shared contact you have with them or it will simply stir up their emotional world. Respectful, kind, and openhearted, they see emotions in others and understand how to subtly connect and co-create incredible things with those who share talents and depth of feelings that give them a sense of purpose. Unstable, changing with other people's influences and taking on their emotional troubles as their own, they need solid boundaries to see their authentic truth and express it without negative statements, dark views and sharp words. In 1694 Voltaire (François-Marie Arouet) was born, a French historian, philosopher and playwright, famous for his criticism of Christianity and his advocacy of freedom of religion, speech and separation of church and state. He decided to be a writer, against the wish of his father, and continued to freely express his opinions constantly in trouble with authorities and the law. In 1945 Goldie Hawn was born, an American actress, singer and producer, known for many roles including those in Cactus Flower, Private Benjamin and Death Becomes Her. All three of her children are actors. In 1984 Jena Malone was born, an American actress, photographer and musician, recognized for her roles in Donnie Darko, Pride & Prejudice, The Ruins and others. She grew up impoverished, frequently relocated and at times homeless, but stated that she doesn’t think of her childhood as tough since it prepared her for the life of an actor. 1676 – The first quantitative measurements of the speed of light are presented. 1905 – Publishing of Albert Einstein's (born on March 14th) paper that led to the mass-energy equivalence formula. 1922 – The first female United States Senator takes oath of office. 1961 – The first revolving restaurant in the U. S. is opened in Honolulu, Hawaii. 1969 – Establishing of the first permanent ARPANET link. 2004 – 80% of Iraq's external debt is written off by the Paris Club.